Click on images for larger view. *the extra magazines and balls were purchases separately. I’ve always had Nerf guns around the house and I feel like you can never be too old to have a good ol fashion Nerf shot out in your living room. This new Nerf gun is geared towards those who want a accurate, fast shooting, seriously fun toy. The new balls are smaller, softer, yet go faster then the darts and foam balls. 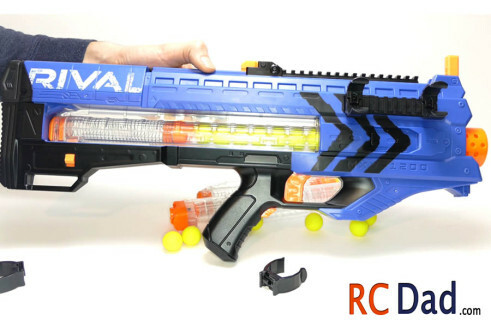 The gun is loaded with safety features and optional rails for extra amo. The easy-load 12 round magazines can be put in from either side and additional magazines only cost around $10! 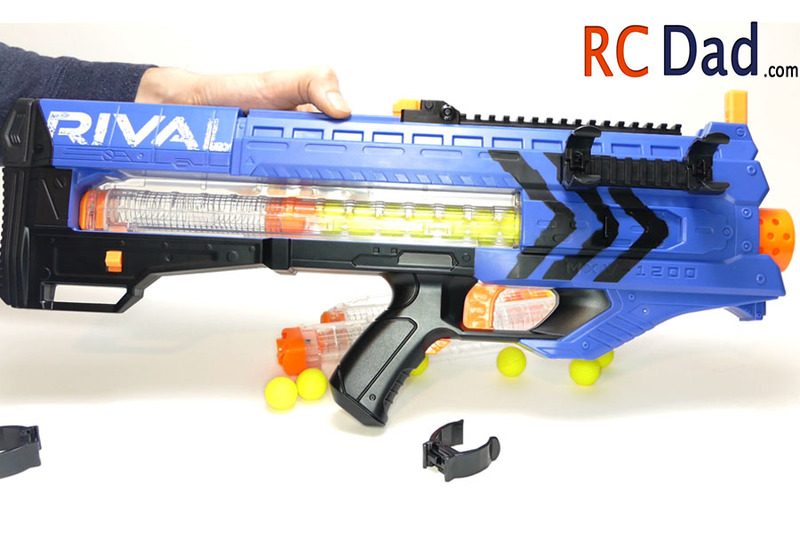 Nerf Rival Zeus Safety features. Safety tab on the left side. 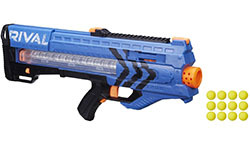 Switch this on and the gun won’t turn on. Without a magazine the gun won’t turn on. Ball jam door. 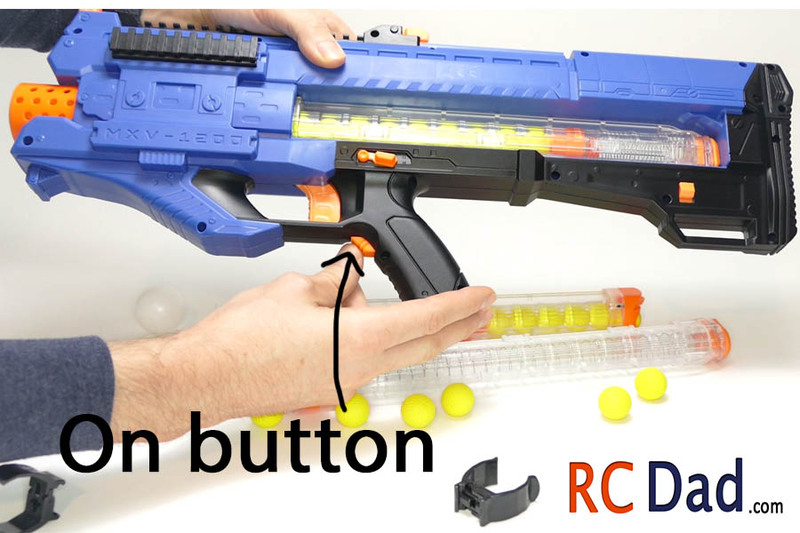 When this door (located on the right side) is open, the gun wont turn on. Grip button. 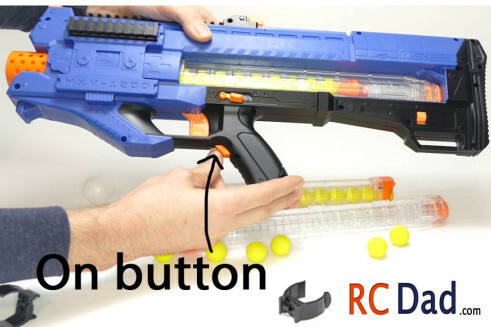 The button below the trigger has to be pressed before the gun will fire. Even with these safety features, it’s still highly recommended that you wear face protection! 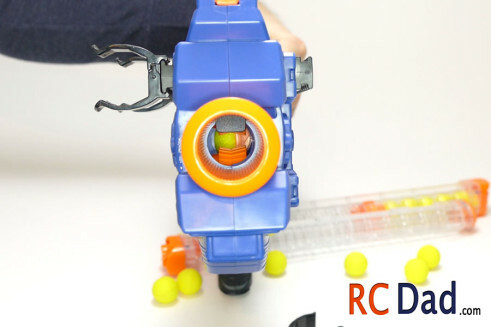 Nerf claims that these balls go 100 fps which sounds insanely fast for a toy gun. The anticipation of the balls hitting you is actually worse then the actual contact. 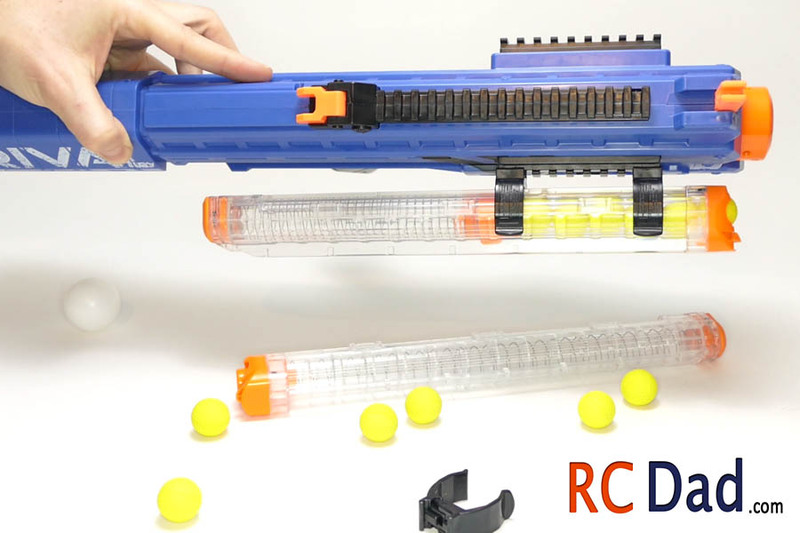 You can feel them but it’s not as bad as one might think when watching this gun being fired. I would compare it to someone flicking you with their finger. Far less then, lets say, a pain ball! If you want to be safe, wear long clothing and a full face mask and you’ll be fine. 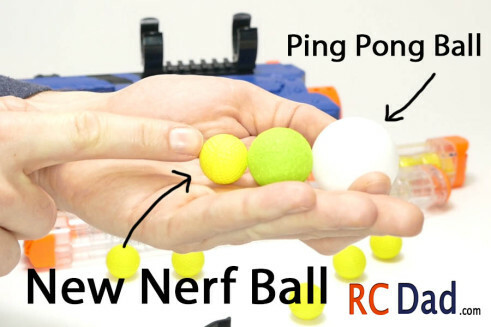 The new and improved balls are smaller and have more of a rubbery squish to them compared to the hard foam balls. They’ve adopted the technology from golf balls to improve distance by reducing drag. You’ll notice little dimples in the balls that will actually create turbulence around the ball, reducing it’s drag.